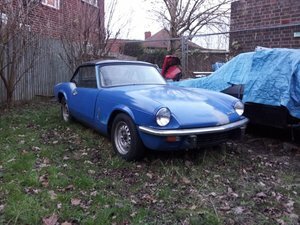 For Sale, My 1978 Triumph Spitfire 1500 with overdrive. 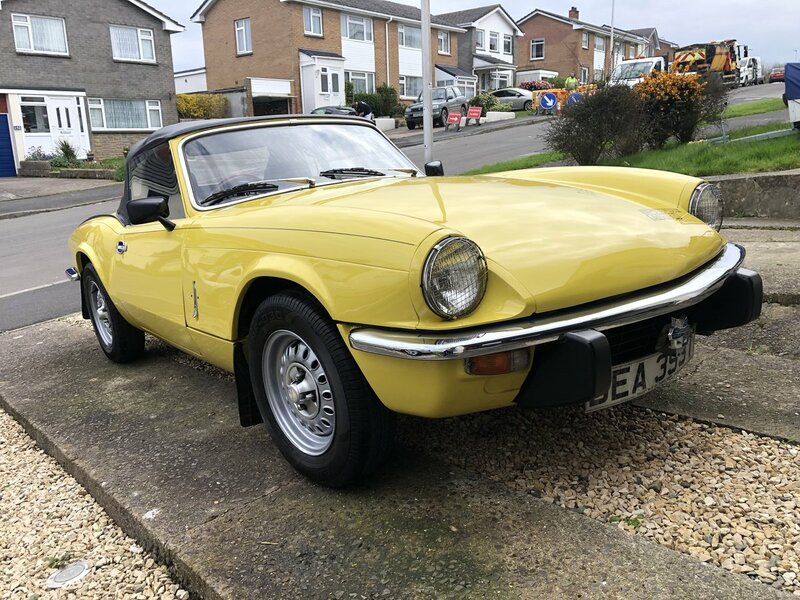 The car is now over 40 years old, it had a nut and bolt restoration back in 1999 and soon after winning an award at the Footman James 2002 classic car show in Bristol. Both seats were restored by myself 2 years ago with foam and Leather covers from Park Lane Classics. 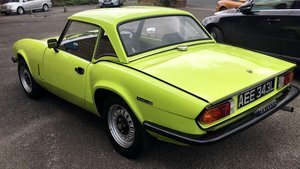 It has a full service history and while in my ownership it has been serviced regularly by a local classic car mechanic and I never hesitate to spend money on the car if it is needed. I have kept all the Service and parts Receipts. There is a box file of paperwork dating back to when the car was new. The soft top and paint are in very good condition and polish up well. We take it to a lot of Classic Car Shows and it never disappoints. The engine is strong, drives really well and with overdrive it can more than cope with modern traffic. Recently the Odometer decided to stop working at 50,000 miles. I had to have a second hand one fitted which is now showing 78,000 miles. The Garage that fitted it has drawn up a letter stating the miles of the car when it was changed. 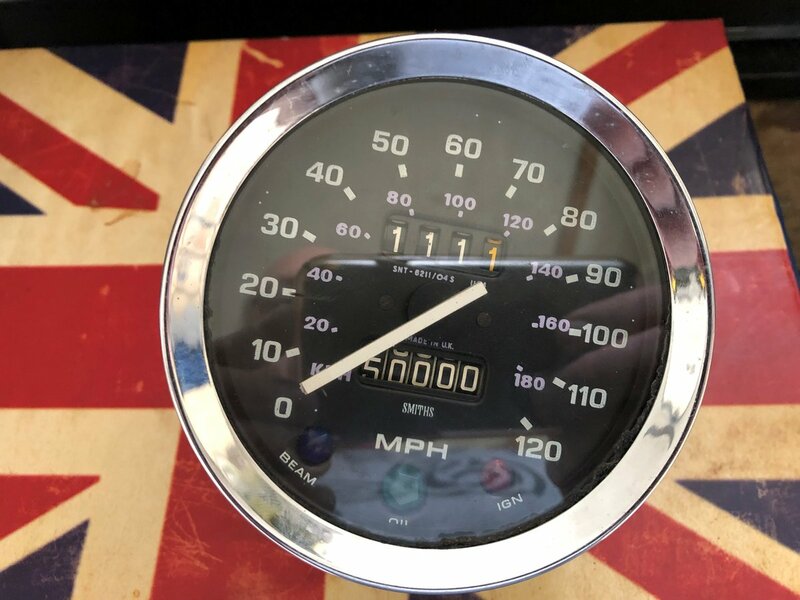 The last MOT also shows the mileage at 50,000 miles. 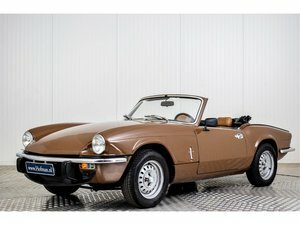 In the pictures you can see the new one fitted and the old one stuck at 50,00 miles. There is also a hard top of which I have never used. The paint and the rubbers are in very good condition. The head lining is still attached, and the hard top is more than useable. The car is now MOT and Road TAX exempt, but the car does come with 12 months MOT. 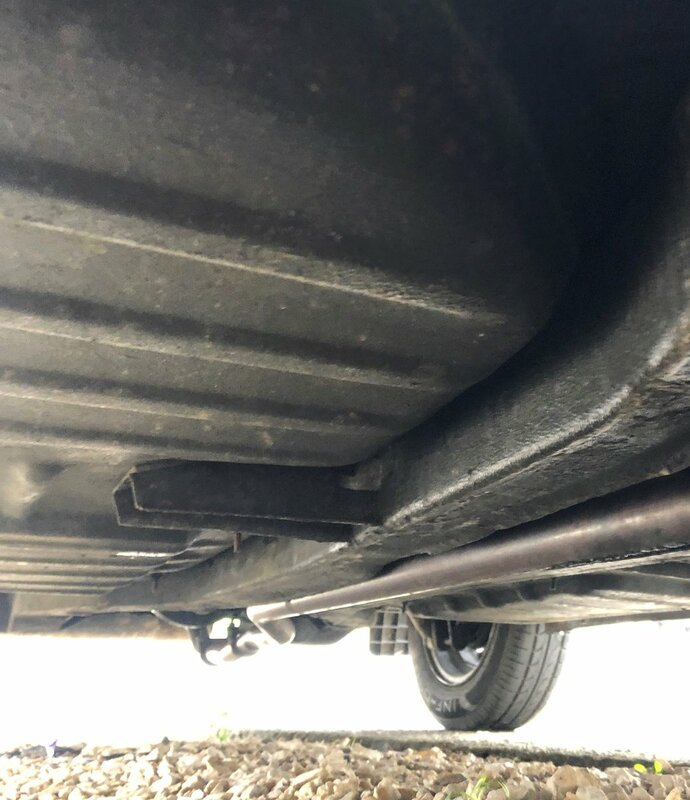 The underside is straight and clean and there is no rust on the underside or body of the car. The chrome around the car is also in very good condition. 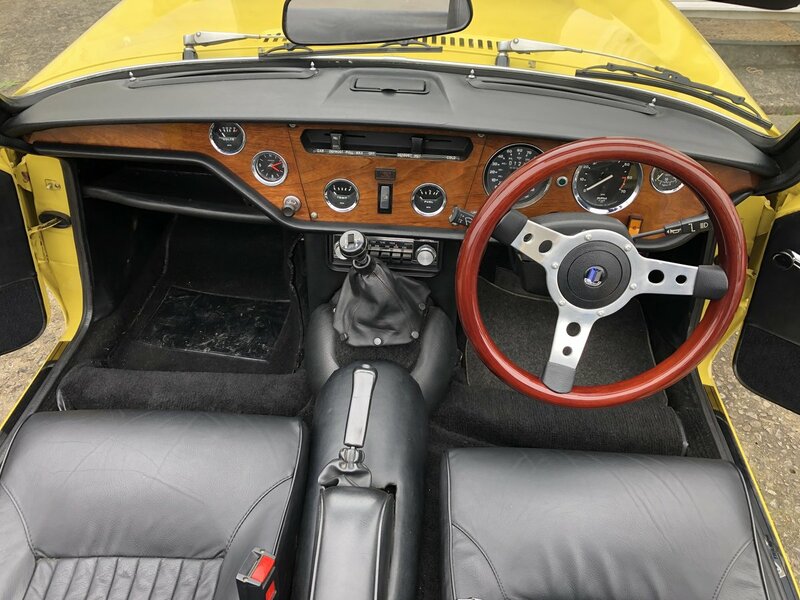 The car is now over 40 years old, it is not in concourse condition, but it can hold its own at any classic car show. 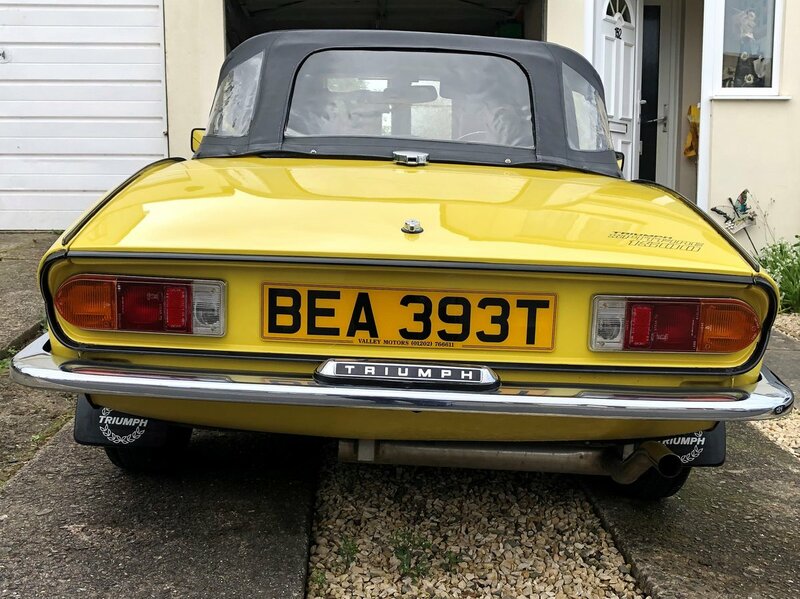 We love the car and really don’t want to sell “our Bumble” but I am not getting any younger and I need something a little bigger. Cash payment or bank transfer only. Please contact me if you would like more info and pictures.